Watch our brand video. Make everyday a day of love. It must be a reflection of the unique taste and style of the woman who wears it, as well as a lasting symbol of the love you share. For five decades, we have been creating the very best in fine diamond fashion jewelry, engagement rings and custom designed wedding jewelry. Inspired by the concept of “A Day of Love”, Adiamor’s hand-crafted diamond engagement rings and wedding bands are sure to turn your special day into a lifetime of memories. 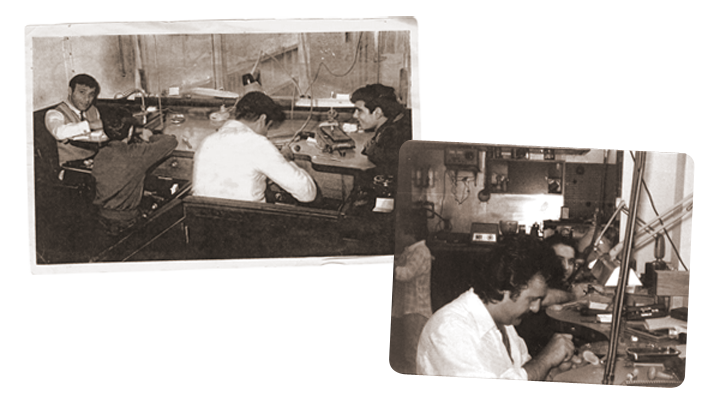 Our expertise in manufacturing jewelry began with our founder, Avo Sarkisian, who was a skilled diamond setter that specialized in pavé designs. His natural talent in jewelry design was apparent at the start of his young apprenticeship. As he branched out from wholesale to retail by opening his own jewelry store in Beverly Hills, his attention to detail and meticulous craftsmanship won the admiration and recognition of his peers, customers and celebrities alike. Over two generations later, Avo’s and Company has evolved into Adiamor, a cutting edge online retail store that delivers manufacturer direct prices to the public. Today, Adiamor carries on the family tradition of excellence by bringing you the very best in craftsmanship and quality. We are artisans, expert jewelers, jewelry consultants and GIA trained gemologists who are passionate about what we do. We offer competitive pricing, and quality, hand-crafted jewelry using only the finest diamonds, colored gemstones and raw materials. Our award winning services continue to win the loyalty of customers worldwide. The Adiamor manufacturing offices are located in the historic jewelry district of downtown Los Angeles, and we invite you to visit with us anytime for your own private appointment and showing. Call us at 877-627-5094, or email us at service@adiamor.com, to set an appointment today! Want to know more? Check out our reasons why you should shop at Adiamor.